When a friend of T&FN publisher Bert Nelson suggested that Track & Field News try to get a group together to go to the 1952 Olympics in Helsinki, Finland, Bert thought it sounded like a pretty good idea—get enough people to go and there could be a free trip in it for himself and his new wife, Jeannette. 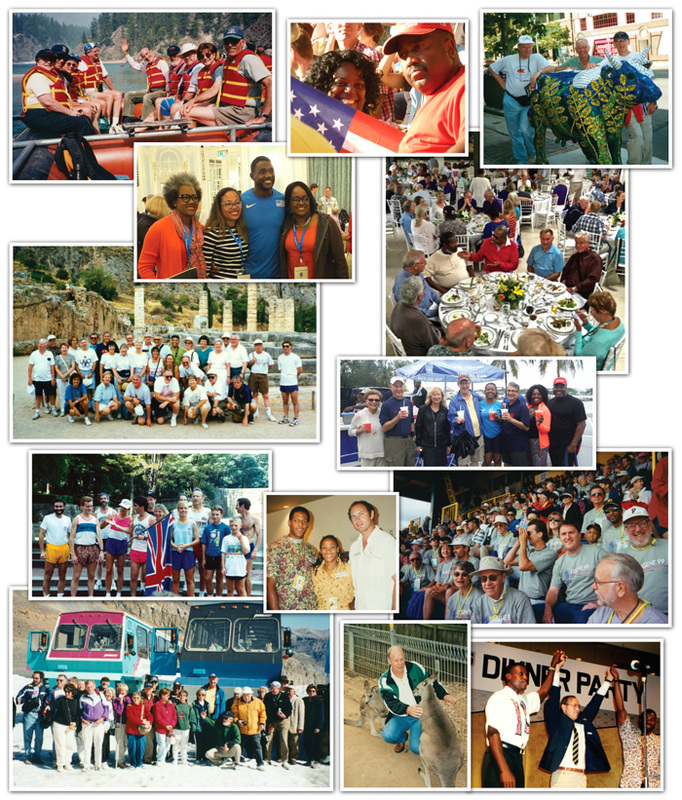 Working with a travel agent in Stockton, California, T&FN was able to offer a 16-day tour for $825 per person. Lodging (mostly in private homes), Games tickets, air transportation, a tour of Stockholm and a stopover in Paris, with a party at the Folies-Bergère, were the basic tour components and 46 American fans went on the trip. Still recovering from World War II, the Finnish people were friendly and hospitable, but there weren’t many amenities for visitors. Some tour members recall sleeping on mattresses filled with straw. When Bert returned home, it occurred to him that the touring business had possibilities and he started planning for the next trip: the British Empire Games in Vancouver in 1954 (where Bannister beat Landy in the famous Miracle Mile). Little did he realize what he’d begun. 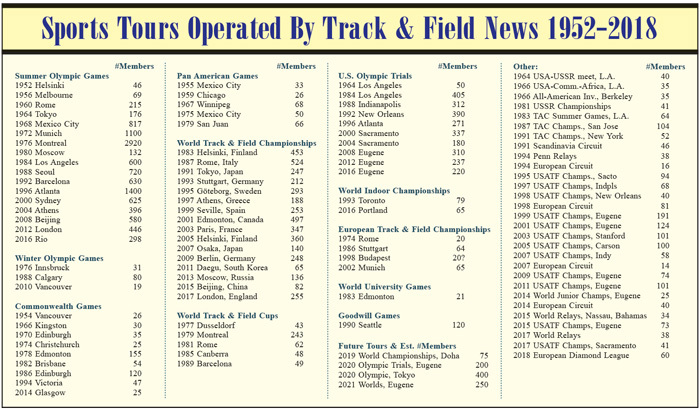 A half-century later, Track & Field News has taken almost 22,000 fans to 60 different countries on six continents. Tokyo 2020 will be the 18th Summer Olympic tour for TAFNOT (Track & Field News Olympic Tours). In addition, T&FN has led groups to all 16 Track & Field World Championships, five Pan American Games, nine Commonwealth Games, seven Olympic Trials and a host of other track & field festivals. Track & Field News Tours goes where the action is: Zürich, Scandinavia, Tokyo, Sydney, Eugene—wherever the major events are. We provide memorable track and travel experiences in the company of like-minded track fans from around the world.